Cyber criminals mainly target small and medium sized businesses having no strong cyber security measures. So it is necessary for the business enterprise to protect itself from any of the cyber threats. The appropriate solution would be to ensure enterprise safety by hiring cyber security services. We at VRS Technologies are leading cyber security service providers and take up the responsibility of protecting your digital enterprise with our leading industry measures. 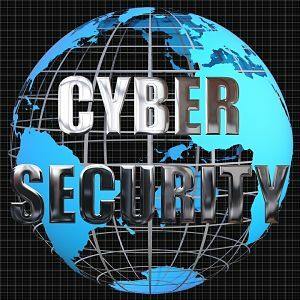 Why Choose Vrs Technologies For Cyber Security Services? • We keep ourselves updated with the latest technology and so are constantly aware of the potential cyber threats that include phishing threats, spyware/malware infections, web applications and many more. Once security is ensured from every corner, you can run your enterprise with utmost safety. We at VRS Technologies in Dubai provide end-to-end protection along with monitoring services to our customers and rest assured your company can focus on the core business. By extending our support to manage the serious data confidentiality threats, we prevent data losses which might otherwise lead to severe loss in revenue. Entrust the security of your digital enterprise with us and we will take care of the rest! To avail our cyber security services, call VRS Technologies at +971-55-5182748 or refer to our website www.vrscomputers.com for more details.